Why stay at the Grapevine? WE PROVIDE MORE! Every day! We are crew ourselves, we know what you are going through and have created the infrastructure to provide you with what you need. Value: When you stay with us you save money. Our central location means your transport costs go down, our kitchen system means your food costs down, plus laundry, internet and printing etc is included in the price. Our house atmosphere will save you money on entertainment. Comfort: We have en-suite bathrooms in EVERY room. Beds built for Adults not kids, climate control, and super comfy lounge room and social areas. Rooms are large and not overcrowded, and each house has the right number of guests. Enough for social momentum, but not too many. Security: We are the only crew houses with an ultra secure codelock system, nobody gets in unless they are currently supposed to be there, plus every guest is assigned a locker in their room for valuables – bring a padlock. Weirdos are kicked out! We really want you to feel comfortable and safe. Location: We are the only crew houses in the Medieval centre of Antibes. All our houses are minutes from the port. Guidance and Support: We are crew (Jason- Captain and Jennifer – Chef) and we are on hand to help, answer questions, provide guidance, help with CVs, and offer insight. In season we do weekly workshops to give you the egde. Network: Your biggest resource will be the people around you, staying with us puts you among the cream of the crop. But Seriously: We are not the crew house where you will find deckhands throwing up down the stairwell at 3 am and a party in your room all night long. This industry is known for being very social, but we chill out at home. If you are looking for all night parties, stay elsewhere. Opportunity: Grapevine believes in the crewing experience, and works hard to help you integrate with Daywork and jobs. 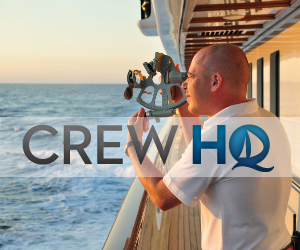 Yacht Managers and Captains know they will find the best crew at Crew Grapevine, we run an up to date recruitment resource for available only to in-house guests.